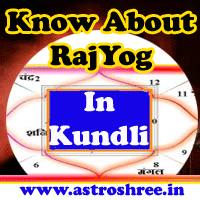 What is Rudraksh and how it form?, Significance and characteristics of Rudraksh. Magical Rudraksha is Available in this Earth by the Grace of Shiva. Rudraksha has Immense power but before using it is necessary to activate that power with some special processes.It has very good effect on Heart and if it is to put with Faith and Trust then it shows magical effect on health, wealth and prosperity. Seeds from a tree sacred to Shiva, often strung as beads for malas. Sanskrit words, ‘Rudra’ and ‘Aksha’. ‘Rudra’ is another name for Lord Shiva, and ‘aksha’ means teardrop. Mythological tales have it that the Rudraksha plant was born out of Lord Shiva’s tear drops. Read about How To Identify Original Rudraksh?. Rudraksha can be used to reduce the tribulations caused by malefic planets. It can be used to enhance the positive results given by the benefic planets. This can be used as a remedy to “Vaastu Doshas”. Rudraksha can be worn or can be kept in the temple at home or work place. It improves the concentration level as well as the Memory of the person wearing it. Rudraksh never gives negative energies therefore they do not have ill effects as compared to the gemstones. This is a great medicine for Hypertension (Blood Pressure). Rudraksha never gives negative energies; therefore they don’t have ill effects of any kind on anyone. This is a great energy one should wear to get fame, name, good fortune, never-ending wealth, property and respect in the society. Rudraksha is differentiate with the lines which it has on it's surface. Ek Mukhi Rudraksha(having 1 line on it's surface) : It is the most powerful and rarely available on the earth. it represent the shiva directly and protects from evil eye effects and negative energy, helps to regulate Blood pressure, helps to maintain love in couple.this rudraksha is beneficial for the jwellers. Do Mukhi Rudraksha(having 2 line on it's surface) : This is beneficial for cloth,tin and vegetabel merchants. It also helps in acidity, obesity and heart problems. Teen Mukhi Rudraksha(having 3 line on it's surface) : This represents fire and also said to be the part of shiva eyes. it is very good for the iron, thread, cement merchants, also hepful in marriage, foreign travelling. by intaking it helps in eyes problem and typhoid. Chaar Mukhi Rudraksha(having 4 line on it's surface) : it represents brahma(the creator) helps in geeting child, protect from evil eyes. Helpful for the stones, coal merchants and also beneficial for tea hotels.it is also good in Ricket disease. Panch Mukhi Rudraksha(having 5 line on it's surface) : It represent the kaalaagni rudra and is beneficial for pipe, makrana stones merchants also helpful in heart problems, protect from accidents and injuries. Six Mukhi Rudraksha(having 6 line on it's surface) : It helps in monthly problems of ladies,legs problems, pain in body, fever,arthritis, protect from accidents, travelling, create peace in home. Seven Mukhi Rudraksha(having 7 line on it's surface) : This rudraksha provides the blessings of 7 rishis, it also removes the guilt of Totem(kuldevtaa), helpful for doctors, give mental peace, if taking with cardamon helps in getting child. Eight Mukhi Rudraksha(having 8 line on it's surface) : It provides the blessings of goddess ganga and give relief in tuberculosis, dental problems, beneficial for ghee and tea merchants, if taken with Hing then help in urine problems. Nine Mukhi Rudraksha(having 9 line on it's surface) : This Rudraksh provides the blessings of Dharmraj and increase the business,property, vehicle with this also helps in getting child. Very helpful for timber merchants. Ten Mukhi Rudraksha(having 10 line on it's surface) : This rudraksha provides the blessing of 10 dikpaals, helpful for jwellers and give relief from evil eye effects , cancer, typhoid, cough, fever.